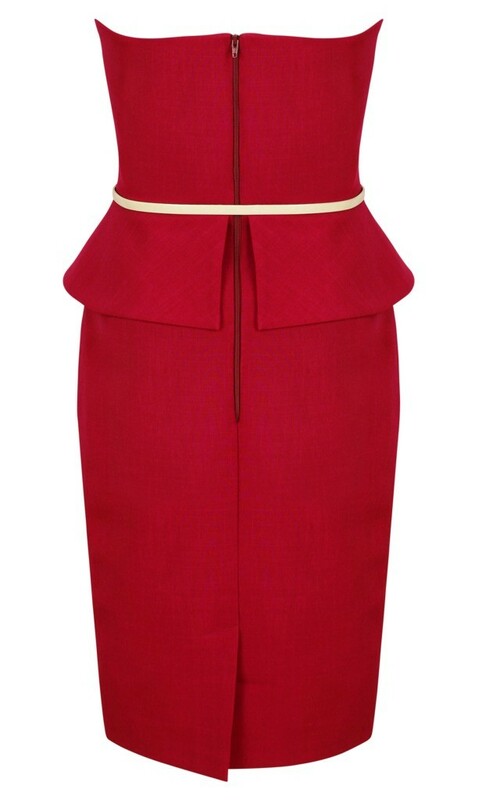 Striking structured peplum pencil dress in a tailored design with panel detailing. 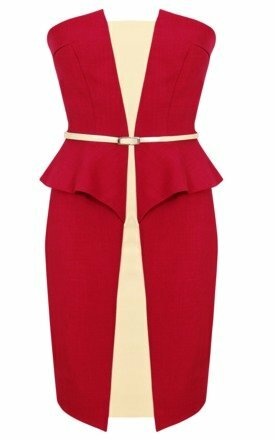 Two colours create a stunning slimming effect. Strapless neckline and beige belt make you look glamorous and perfectly poised. Knee length. Back zip fastening. High quality stretchy fabric. Fully lined. 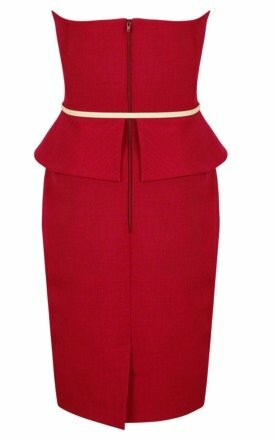 Shoulder to Hem length: approx 74 cm.